WorldClass Roofing offers a large range of roofing services for homes across East Melbourne. Trust the roofing specialists with over 30 years of experience to supply you with the highest quality roof tiles and roofing materials appropriate for your roof. Melbourne homes can rely on WorldClass Roofing, book an appointment with us today to talk about the roof tiles and roofing materials right for your home! Our expert roof contractors are highly experienced in roof tile replacement in Melbourne’s homes, and can complete a range of related tasks, with all the efficiency and quality for which we’re known. Our roofs are easy to maintain, requiring little maintenance once we’ve completed the roof installation. You’ll find that when it comes to roof tile replacement in Melbourne, our team have versatility, working with both cement and terracotta tiles. Thanks to the material composition of these tiles, they are the Melbourne’s homeowner’s best option for a roof that will keep interiors cool during the harsh summer months. Want to protect your roof for longer, to save you money on repairs farther down the track? Remember that your roof, year after year, is battered by harsh Australian conditions. Rain, debris, hail, solar radiation – it’s important that you have as much protection for your roof as possible. The best way to safe guard your roof is with roof tile coating. 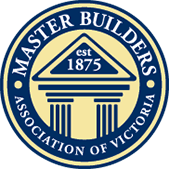 Melbourne home owners can trust our team of skilled professionals to use the finest defensive materials, with a service delivered at very affordable prices. So confident are we of our services, we provide a seven-year guarantee on all materials and workmanship for our roof tile coating. Melbourne home owners will enjoy the upmost customer satisfaction. Ask us any roofing question and one of our Roofing Professionals will get back to you within 1 working day. Copyright © 2019 World Class Roofing. All Rights Reserved.